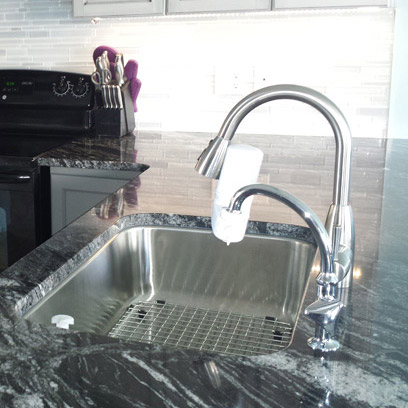 Stainless steel sinks with a chrome nickel content of 18/10 and a gauge of 18 are recommended for home use. Chrome increases hardness and wear resistance. Nickel increases strength and improves shock resistance. A thicker gauge steel (thickness is an inverse measurement, 20 gauge is thinner than 18) will maintain water temperature longer and has more sound deadening qualities. 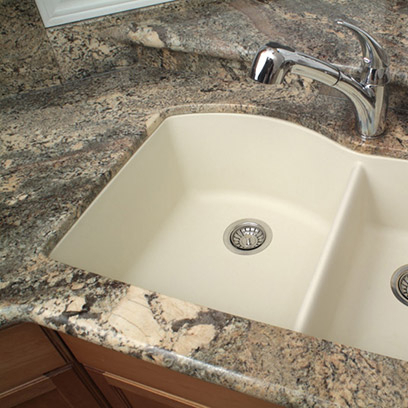 Granite composite sinks are composed of stone dust and resin. 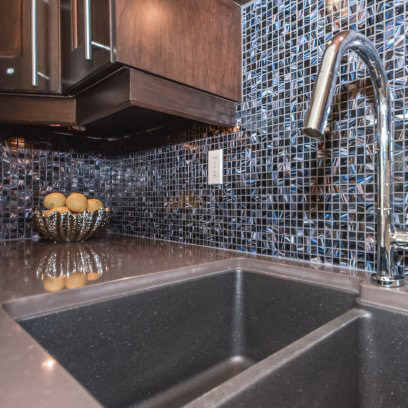 They are very resistant to chips, scratches, and stains and offer a wide variety of colors to allow your sink to become a beautiful accent in your kitchen. 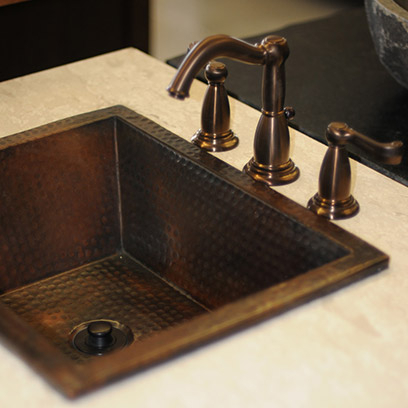 Cast iron sinks feature a thick enamel coating in a variety of colors. Fired at temperatures much higher than possible with enameled steel products, the cast iron surface is “fired polished” to obtain its vivid color and deep gloss. Its density provides outstanding heat retention properties, so water stays warm longer. Porcelain or vitreous china sinks are clay based but have an enamel that is a glass surface fused to a metal base, making them durable and easy to maintain. Copper finishes develop their own rich, warm patina as it is used and ages. 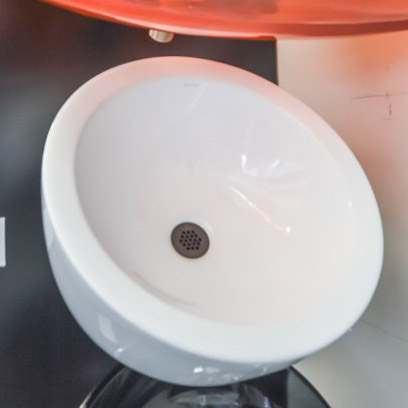 You will notice the rich reddish color varies from sink to sink and may, in fact, present dark spots or streaks due to the nature of the sink and the finish.